Now in its 15th year of publication, Social Work Today is established as an essential resource for social work professionals. Our in-depth content examines the difficult issues, challenges, and successes of social workers. 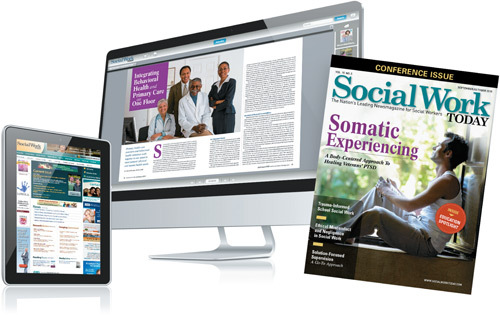 Across the media spectrum, Social Work Today celebrates the common bond among social workers, in all their distinct roles and varied work settings.